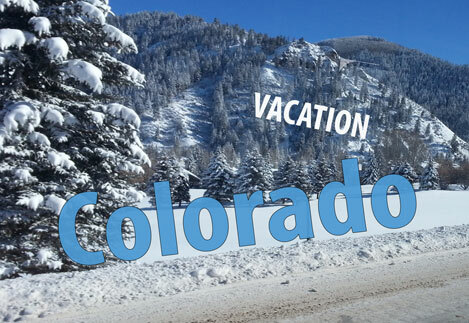 We recently visited the always gorgeous state of Colorado for some skiing, dining, family time and R & R. Mother Nature made sure we didn’t get in on the mild weather, as right when we arrived the temperatures dropped to all-time lows! However, this is definitely a community embraces the return of cold weather and snow with a high level of energy and excitement, so it didn’t slow us down much. In fact, it seems like a holiday when the first snow arrives! We stayed in Avon, CO; which is a quaint little town nestled between Beaver Creek and Vail. One of the great parts about this area in our opinion is the lack of chain businesses and fast food restaurants. This allowed us to feature some of the best locally owned and operated venues that the area has to offer and our schedule was definitely bursting at the seams with so many wonderful things to see and do! Copper Mountain is exactly what comes to mind when you think of a traditional ski resort—they definitely have it down to a science. Their popularity is evident as the resort was bustling with a ton of people the entire time we were there. For beginners who are over the initial fear Copper Mountain is the perfect place to visit. We were very impressed with how perfectly the equipment rental staff fit us for what we needed–the difference and our increased comfort were definitely noticeable. Copper Mountain is a great spot for the average person or group who simply wants to ski the slopes and enjoy the scenery. They have a lot of cool little bars and outdoor fire pits that are great for hanging out or just stopping for a minute to rest and warm up. The lifts make it really convenient as there are quite a few different lifts you can take and connect to get to where you want to be. It is also important to note that Copper Mountain is especially great for snowboarding, as it features an area specifically set up for practicing jumps and other skills. If you are looking for a casual, fun atmosphere with plenty of great people and options that accommodate your equipment needs and skill level, we highly recommend that you visit Copper Mountain! Ristorante Ti Amo is a lovely place to dine, and offers a wonderful selection of flavorful Italian cuisine. We truly had a wonderful dining experience all around. From the outside Ristorante Ti Amo may not catch your eye as they are located in a strip of businesses, but don’t let that deter you from going in because the inside is amazing! The ambiance and warmth of the dining area is very inviting and relaxing, the service is excellent, and the food is incredible. They are also a true favorite of the locals, as they have been voted the Vail Valley’s best Italian since 1995. Ristorante Ti Amo provides plenty of healthy choices on their menu, including many gluten and grain free options, and they take pride in procuring ingredients that are grown and harvested from sustainable and local food sources whenever possible. You can definitely tell, as we tried a variety of items off of the menu and we really noticed how the quality and freshness of the ingredients really enhanced each dish. Additionally, they not only provide plenty of options for classic Italian fare but they also have a variety of inspired, signature dishes that you won’t find anywhere else–and we have dined in a lot of places! We started off with several appetizers and they were all equally worthy of praise. The Calamari Fritti, fried USA squid paired with spinach and spicy marinara sauce, was really unique and a great mixture of flavors. We also tried the Funghi e Polenta (Portobello mushrooms marinated and grilled, sautéed with pancetta and red onions in a balsamic sauce served over friend polenta) and the Melanzane Fritte (fried eggplant with fresh mozzarella, fresh sliced tomatoes and basil in a balsamic tomato sauce). Even though we chose three appetizers, it was certainly a tough decision because they had many more to pick from which all sounded equally appealing. The Ravioli Pescatori (homemade seafood ravioli with white shrimp and scallops in a blue crab, tomato, garlic and basil white wine sauce) was our favorite entrée and we guarantee you will crave it well after leaving the restaurant. Other items that we tried and found to be exceptional are the Frutti di Mare (mussels, shrimp and scallops sautéed with garlic and white wine in a spicy marinara sauce over linguine), Medaglioni di Maiale (pork loin medallions sautéed with bay leaf, shallots, mushrooms, and red wine in a Dijon cream sauce over garlic mashed potatoes), and their special, which was their version on the Italian classic Osso Buco. If you are looking for fine dining and are partial to authentic Italian cuisine, we highly recommend Ristorante Ti Amo. Their price range was reasonable and well worth it for the quality of the food, service and atmosphere. Ti Amo is Italian for “I Love You”, and the complete dining experience exemplifies their love for what they do. Beaver Creek is simply incredible. If you’ve skied at different resorts, you would probably be shocked by its appearance as it is very different from traditional ski resorts. There is more of a country club environment, and it is very quaint and intimate. The staff was exceptionally friendly—from the time we got our rentals to the time we hit the slopes there were at least 5-6 people who checked on us to see if we needed help with anything. In fact, the chefs even hand out cookies to everyone at the bottom of the mountain at 3 p.m. every day! There are very minimal lines on the lifts, and they also offer a gondola for the bunny slopes which is perfect for those who are beginners or who are scared of being exposed at certain heights. In our experience one of the scariest things about learning to ski is maneuvering the lifts, so it is very important to ease someone into the process and Beaver Creek does a great job of making sure everything is as unintimidating as possible. If you’re with someone who doesn’t want to ski, there are plenty of other things to do including upscale mall shopping, ski stores, gift and specialty shops, an ice skating rink, playhouse, and tons of restaurants. It is such an intimate and cool location that we didn’t really want to leave. In fact, we were supposed to go out and ski one day and we decided to just stay around the property we enjoyed it so much! There is so much to do in the area that it is a great idea to make reservations to stay onsite, but if you are staying close to Beaver Creek the city of Avon provides buses that will drop you off for free. While Beaver Creek attracts a more affluent crowd, they are very welcoming of all visitors. If you are looking for over the top customer service and five star quality, and have the budget, Beaver Creek is exactly where you want to be. Vail Ski Resort is the largest single resort in the United States, and they have certainly earned their status as a world famous resort and one of the best places to visit and ski in Colorado. Not only do they feature some of the most magnificent terrain in the area, but they offer some of the best shopping and dining as well. This is a vast resort with 31 lifts, 193 runs and 5,289 acres of land with an endless amount of options for all skill levels. There are tons of things to do at the resort if you are not interested in merely skiing. We didn’t get to enjoy the slopes as much as we hoped for because they were experiencing record breaking low temperatures during our visit, but we made up for it be visiting many of the great gift shops and specialty ski apparel stores. And of course, the endless selection of restaurants to choose from wasn’t a bad thing either! Vail definitely lives up to all the hype and then some–we highly recommend this resort for new visitors and seasoned travelers alike. Nova Guides has been Vail’s premier year-round outdoor recreation company for over 30 years. Locally owned and operated, they provide entertainment for those in Vail, Beaver Creek, Avon, Copper Mountain, Frisco, Keystone, Breckenridge and Leadville. We chose to participate in their snowmobiling tour, which is by far their most popular winter activity offered—and it definitely did not disappoint! Our tour began right where we were staying, as they provide the wonderful convenience of transportation services to get you to and from their location at Camp Hale. Camp Hale’s most prominent features are a stunning 5,000 square foot lodge located within a National Historic Site surrounded by the White River National Forest and with amazing views of majestic Resolution Mountain. Once you arrive at the beautiful, quaint lodge you open up the door and are greeted by a huge roaring fireplace and warm beverages to enjoy. They provide you with snowsuits and boots, and their knowledgeable tour guides give you a rundown of the rules, operation guidelines, and what to expect. Our guide took us out on a tour that accommodated our skills, and since he quickly found out that we were experienced and safely assessed each of our aptitude we moved on to more difficult terrain and skilled maneuvers. We went out on this particular tour without anyone added to our group, so we were able to go up and down the sides of mountains topping the snowmobiles at over 50 mph! This was incredibly thrilling and exciting, and we got to see a lot of really cool trails and an extensive amount of the less traveled countryside. In fact, the land is very private and there are barely any commercial sights. The snowmobile tours cover the land surrounding the lodge, and depending on the skill level of your group each tour takes you to varying heights up the mountain and for miles through the scenic Colorado landscape. Our tour guide was excellent all-around and gave us a lot of inside information, history and education about the area. We did the three hour tour, which we highly recommend if you enjoy this type of activity. Two hours and just fine for the average person, but we certainly could have gone longer and weren’t ready to quit when it was over! This was the highlight of our trip, and we can’t emphasize enough what a fabulous, awesome experience it was. We loved our guide so much, he was very serious and militant with his instructions and guidelines but at the same time he was a very cool guy. It felt comforting to know that he was truly worried about our safety and looked out for our best interests while ensuring we had the best time possible. The combination of the fun and excitement of operating or riding on a snowmobile paired with seeing the stunning beauty of nature is truly an experience that you must try if you are visiting the area. Vin48 is an upscale neighborhood restaurant and wine bar nestled in Avon’s famous boat building with spectacular views of Beaver Creek. Vail Valley local, Executive Chef Charles Hays, offers a rustic American menu with both small and large plates that feature eye-catching presentations and taste just as good as they look! Chef Hays’ food is complemented by an eclectic, carefully chosen, and in our opinion, very impressive wine list. What we liked most was the tapas concept, where the items are meant to be shared, so you get the chance to try everything. While it was very difficult to narrow it down we ordered a sampling of many different items, including the bruchetta, wild mushrooms, seared scallops, grilled wild gulf shrimp, veal meatballs and the smoked Colorado Angus beef tenderloin. There definitely wasn’t anything that we didn’t like, but we were especially impressed with the wild mushrooms which combined potato cake, creamed red onions and Casaliva olive oil. We equally enjoyed the seared scallops presented with spaghetti squash, black trumpet mushrooms and spiced wine butter, and the grilled wild gulf shrimp that was paired with Anson Mills pepper jack cheese grits, fried egg and roasted tomato salsa. This was a very chic venue, and we appreciated all of the aesthetic elements that combined together flawlessly to exude class and sophistication. The combination of high quality menu items and absolutely gorgeous and elegant surroundings provides an unforgettable fine dining experience that is well worth trying. One of our favorite aspects was being surrounded with amazing views from all of the large windows. Furthermore, we definitely want to visit in warmer months as our server told us that they open the floor-to-ceiling glass doors for open access to the patio, allowing diners to enjoy the stunning mountain views. Vin48 is the perfect place for a night out, and we highly recommend this first class dining experience. If you are looking for a variety of choices to please different tastes, Beaver Creek Chophouse is definitely the place you want to go. There really is something for everyone, and with their portion sizes you could even find something you agree on to share and be completely satisfied! For starters, they have wonderful Soup du Jour options and a signature chili that smells out-of-this-world. We tried the Lobster Chowder, and it could have easily been a meal on its own. Not only was it the perfect mixture of lobster, tarragon and potatoes; it was even served in a puff pastry bowl. We also tried the Roasted Red Beet Salad. Since we happened to be there for lunch, this salad was perfect in that it was nice and light but still packed in great flavor from the roasted red beets, baby kale, feta cheese and balsamic-mustard dressing. We picked the Chophouse Charbroiled Steak Burger from their line-up of specialty burgers, and it proved to be a hearty burger that was cooked perfectly and held up to our high standards as folks from the heart of the Midwest. From the choices of featured plates, we tried the Mahi Fish Tacos and they were done very well to say the least. The Chophouse version features fresh Mahi on corn flour tortillas with cabbage, cheddar jack cheese and chipotle mayo served with sides of bacon black beans and their special homemade avocado-tomato relish. We also couldn’t leave without going big and trying the BBQ Baby Back ribs! Yet another classic that was done impeccably, Chophouse hits a home run with this slow roasted delicacy. We were very impressed with the quality of service, and everyone was so pleasant that it was hard not to stick around and enjoy the company. They also had a great location right at the foot of the slopes, so you can watch all of the skiers in action! Chophouse excels at providing delicious, substantial meals that will ensure you have energy all day long for the slopes. We agree with Blue Moose’s motto: Life is Short, Eat More Pizza. Furthermore, if we had to choose a place to eat all this pizza in Colorado we would (and did) choose Blue Moose Pizza over and over! Blue Moose Pizza has two convenient locations at major area ski resorts, and we had the pleasure of dining at both. One of the best parts of their pizza is the signature crust, which is traditional NY style hand-tossed with a tasty Blue Moon twist. They also offer a whole wheat version that is homemade from stone ground wheat flour for those who are trying to eat a bit healthier. Over the course of several visits, we tried a variety of their pizzas and other fare and every time we were impressed. We are pretty sure that all of their pizzas are delicious, but we tried and highly recommend the Meat Lovers Pizza, Spring Pizza, Buffalo Wing Pizza, Autumn Pizza, and THE VONNderful. THE VONNderful is an amazing blend of grilled chicken, artichoke hearts, roasted garlic, sundried tomato and pesto sprinkled with mozzarella and goat cheese. The Spring pizza is a bit lighter, but still very tasty, with artichoke hearts, sundried tomatoes, Roma tomatoes, and a flavorful mixture of basil, oregano, pesto and mozzarella. Our absolute favorite was the Autumn Pizza, which was composed of crimini mushrooms, truffle oil, parsley, parmesan, garlic, olive oil and goat cheese. They have a wonderful variety of ingredients and specialty pizzas to try, and they also offer other fare such as homemade soups and salads, sandwiches and calzones, and Italian entrees. In addition to the excellent quality of their food, their prices are very reasonable for being located in a predominantly tourism-oriented area…you can’t beat $3.95 for a huge slice of Blue Moose pizza! We highly recommend this lively Italian eatery, which provides a fun and casual dining experience for all ages and all kinds and sizes of groups. The Osprey Lounge is a popular Beaver Creek slope-side spot for breakfast, lunch, and dinner or just to have a few cocktails. This venue is located in an elegant boutique hotel, which offers very modern and upscale surroundings. As an added convenience, the ski lift is located just outside of a side entrance. We stopped in for a light lunch, and we really enjoyed their Strawberry and Avocado salad which came highly recommended by our waitress. It really was outstanding—we would go back just to eat it! Their Chili Rubbed Pork Taco and Mountain Burger were also wonderful, and it is well worth mentioning that they have really great French Fries as well. The Osprey Lounge is a sophisticated haven for fun social gatherings or romantic rendezvous, and we really enjoyed the intimate, luxurious setting as well as the terrific service and delicious fare. On this trip, I recognized the frustration that many beginning skiers experienced in wasting two or three days trying to learn the skill at a time when they should be enjoying themselves. If you are new to winter sports or if you need to brush up your skills, we recommend that you take lessons at a facility that is closer to home, such as Mt. Crescent Ski Area in Iowa, so you can take advantage of every single opportunity to enjoy ski vacations in Colorado or other locations. Mt. Crescent Ski Area is located in the Loess Hills of western Iowa, just 15 miles northeast of Omaha, Nebraska. They offer a full service ski and snowboard rental shop, stocking 1,000 sets of modern ski equipment, including skis, boots and bindings by many of the leading manufacturers. In addition, for snowboarders, they have a full line of boards and boots to fit a wide variety of riders. They have a full staff of dedicated instructors so this is a great venue to take lessons. Not only is it close, but it is much cheaper than most other destinations. Several years ago, they introduced the “Station Rotation” method of teaching. Stations 1, 2 & 3 will teach you the 1, 2, 3 basics of skiing or snowboarding. This lesson is only $5.00 for approximately 30 minutes of instruction and if you do not get it the first time, you can just jump back in at station 1 and try again! The ski and snowboard instructors offer group, semi-private and private lessons, so there is something for everyone’s comfort level. At such a low cost and the convenience of being so close to home, it would be well worth it to visit Mt. Crescent Ski Area. After all of our adventures, we definitely were wiped out but incredibly thankful that we got to enjoy such an excellent assortment of entertainment and cuisine. Colorado is truly a winter wonderland, and it was really refreshing to be able to appreciate the beauty of the weather and have fun with it as opposed to being nervous about it and inconvenienced. We can’t give the Avon, CO area enough praise for consistently being such a wonderful place to visit, and the local businesses we visited are truly a reflection of the community’s inviting nature, attention to detail, and commitment to quality for their visitors. As always, Colorado has a special place in our hearts and this trip reminded us why it is consistently one of our favorite destinations.